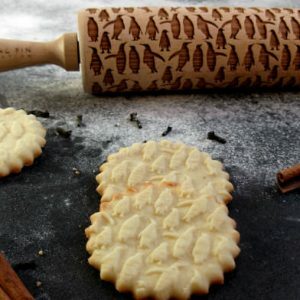 Create a beautiful and unique pattern on your cookies with a rolling pin engraved with a nautical theme. Sealife and boat elements work together to make this the perfect gift for sailors, beach lovers, or people who love ocean life. This is a perfect gift for any occasions like wedding, Christmas, birthday or just for fun. It’s a great gift not only for kitchen gadget fans. 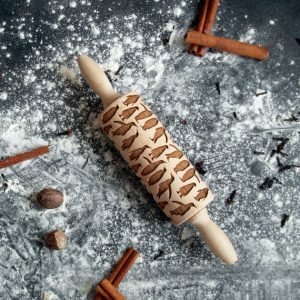 The rolling pins are made from natural beech wood. 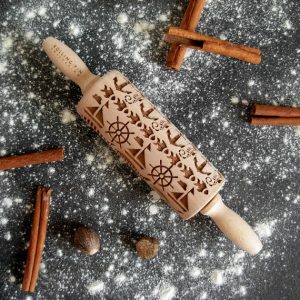 Every rolling pin is buffed by hand for a nice finished surface. 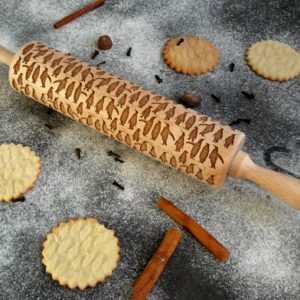 With a rolling pin you will receive the maker’s own recipe for embossed cookies. 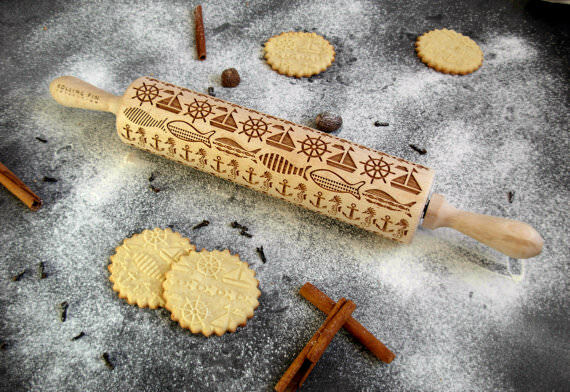 See our mini version of the same rolling pin–a good gift item or rolling pin for the boat! Klaudia lives in a small village in Poland. She loves to spend time with her husband on the design and creation of unique items. 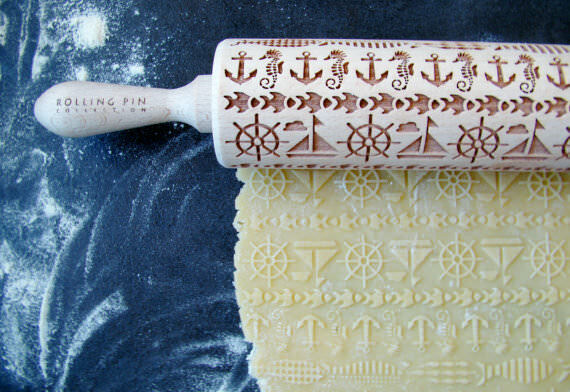 For Schooner Chandlery, she is now creating custom nautically-themed embossed rolling pins. She loves to work with wood. She is a graduate of the Academy of Fine Arts in Krakow. Stay tuned for more custom rolling pins! Shipping is estimated a little high but actual shipping will be charged in the end. This means your card will be refunded excess if it is over $1. If you live in a remote place outside of the USA and shipping does not cover, I will contact you with the estimate of additional shipping charge so you can decide to pay or cancel the order. 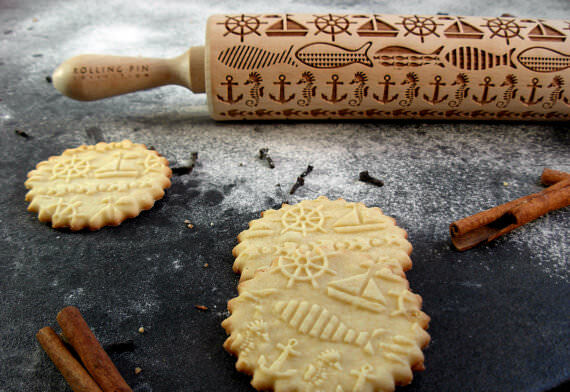 Create a beautiful and unique pattern on your cookies with a rolling pin engraved with a nautical theme.